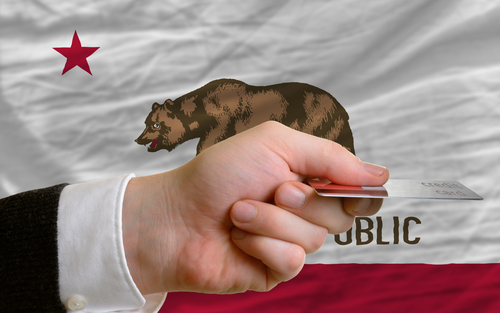 If you are looking for California high risk payment processing solutions, MerchACT can help. We work with merchants in this state to obtain streamlined, reliable and affordable online merchant payment solutions. We serve startups, businesses, and other online companies across the entire state of California, including: San Francisco, San Diego, Los Angeles, San Jose, Sacramento, Fresno, Oakland, Long Beach, Bakersfield, Anaheim, Santa Ana, Riverside, Stockton, Chula Vista, Fremont, and more. No matter your size, organization type, complexity or revenue, we can help you find the best payment processing solutions for your needs. In the credit card processing industry, many industries and niches are considered higher risk than other businesses. As a result, traditional banks and merchant services providers are hesitant to do business with these companies, and dismiss them as a liability. High risk businesses that make it through the gauntlet and do get placed find they are paying higher fees or being required to have a reserve. Many turn to merchant services providers who claim to be “high risk friendly”, but who also charge startling fees and who don’t provide any guidance on fraud and risk management. When every scenario seems to be a lose-lose for high risk merchants, MerchACT steps up to the plate as the industry-leading choice. We are specialized in California high risk payment processing, and will not employ some of the below-the-belt tactics that other providers are known for. We don’t penalize our merchants for high volume, we don’t require reserve holds and we won’t leave you with no recourse if chargebacks become a problem. Our focus is on helping you best manage the payments operations so you can be a growing, thriving business. We excel at helping high volume merchants to manage transactions properly and maintain a stable merchant account. We work with high risk merchants to help alleviate the chargeback burden and lower chargeback ratios. We also charge some of the lowest fees in the industry, ensuring that your payments are professionally handled without breaking the bank. MerchACT seeks to gain deep insights and a thorough understanding of your business before we start. Since we have almost 15 years of experience working with high risk merchants, we are familiar with every facet, challenge and opportunity. Once we’ve reviewed your business case, we set out to find the best package of solutions for your unique needs. We take credit history, history of sales and cash flow into account to determine the best course of action moving forward. MerchACT has established favorable relationships with merchant banks in the U.S. and abroad, enabling our customers access to the best rates and stable, secure merchant accounts. You will be hard-pressed to find another merchant account service provider that can offer the range of banking relationships, experience, and competitive pricing we have. We don’t stop there. Once you are set up with a stable merchant account, we provide comprehensive fraud and risk management solutions to ensure that your transactions are safe, secure and PCI compliant. We set you up for success by optimizing your risk profile, enhancing your relationships with banking partners and securing lower rates. We also provide account management that is tailored to your needs. We can take a full hands-on approach or work side-by-side with you and your team to streamline payments. As veterans of the California high risk payment processing industry, we know how to be an excellent partner to every merchant we work with. We create the best payment processing package for your organization so you can focus on your core business, remain financially stable, and gear operations toward growth. MerchACT works with new and existing merchants to help streamline payment processing. High risk merchants work with us because of our industry-leading experience, fruitful banking relationships and our in-depth guidance on all things payments.